Mike’s Sewing Machines has 34 years of technical sales and service experience for all types of machines. Mike’s Sewing Machines sells new and used household, commercial, and industrial sewing machines. Call us now for current specials and promotions. Mike’s Sewing Machines has hundreds of parts in stock to ensure quick and easy sewing machine repair. At Mike’s Sewing Machines, we provide a pleasant and high quality customer service experience for our customers. We have over 34 years of service and technical sales experience and have been operating in Shapleigh, ME since 2009. Our prices continue to be the most competitive in town. We are committed to offering specialized one-on-one assistance to each customer while providing prompt and professional service. A Mike’s Sewing Machines, we offer a variety of service options for our customers in Shapleigh, ME. 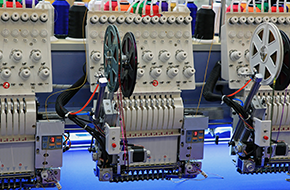 Our professionals are experienced in both household and industrial sewing machines. We specialize in fixing industrial sewing machines, selling new and used industrial sewing machines, and the sale and service of household and industrial sewing machines. If you are looking for professional, courteous, and quick service, look no further than Mike’s Sewing Machines! We proudly serve our customers throughout New England. We are conveniently located on Route 11 in Shapleigh, ME. Whether you are looking for a brand new or used sewing machine, we have what you need. 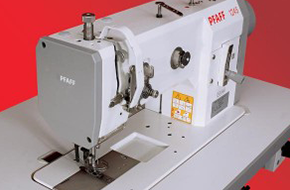 We have hundreds of sewing machine parts in stock and on site to quickly fix your household or industrial machine. At Mike’s Sewing Machines, we offer repairs on almost every brand and model and will have your machine up and running as soon as possible. Scissor sharpening services are also available! No sewing machine repair is too big or too small for us. Call Mike’s Sewing Machines today for the most experienced sewing machine service in Shapleigh, ME.